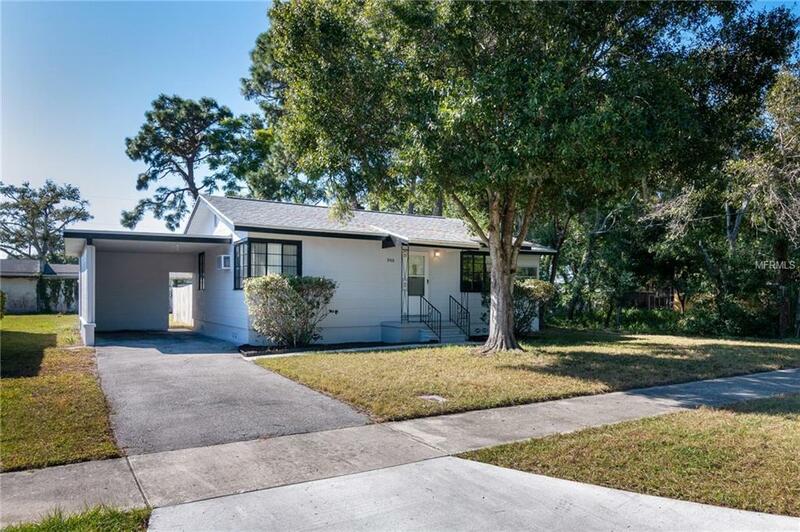 Come out and see this charming 2 Bedroom Bungalow style home with beautiful hardwood floors. You will love spending time in the 200 sq ft Heated/Cooled Florida room with window-walls that let in so much natural light. Located at the end of a deadend street on a large quiet lot you will appreciate the space between you and the house to your west across the tree lined easement, you will feel more like you live far away from the hustle and bustle of Clearwater and yet you are central to most everything. The yard is far larger than the fenced in space would lead you to believe. Lot depth is actually 140 feet. Behind the carport is a utility room with washer and dryer hook ups as well as some additional storage space. There is also a standalone shed behind the utility room. Lots of possibilities with this house! Roof was redone in 2013 and has a 50 year warranty, electric panel upgraded in 2005. H20 Heater 2010, HVAC 2018 inside/2010 outside.